As you can see there is plenty going on at the moment across Devon. 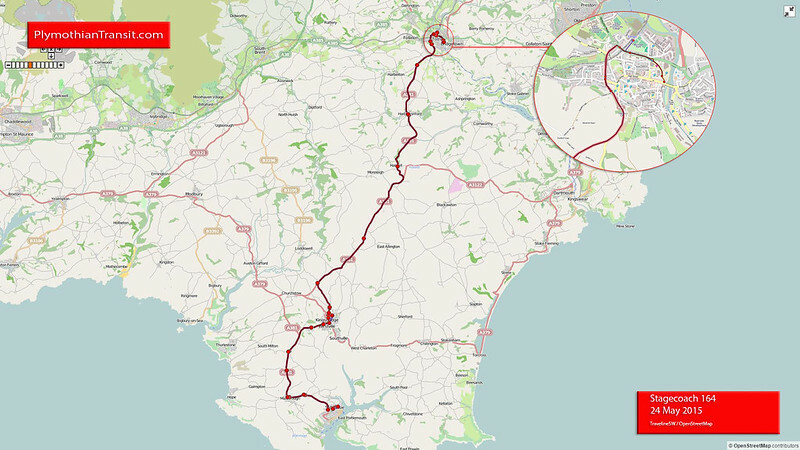 First have made changes for several routes in Plymouth. These are fairly minor tinkering but they do introduce a new 15A and the PR1A is replaced by additional runs on the fairly new 81D. Stagecoach alter their X64 and introduce a ‘new’ route 164 to replace Sundays X64. Filers have a few changes coming up and Countrybus finally start their new services replacing Dartline. Axe Valley make changes to their 889 and 899. Dial a Bus give advance notice for services 60-62 timetable in July. PH0004983/336 - FIRST DEVON & CORNWALL LTD, THE RIDE, CHELSON MEADOW, PLYMOUTH, PL9 7JT Variation Accepted: Operating between Plymouth Royal Parade and St Budeaux Square given service number 3 effective from 24-May-2015. To amend Route and Timetable. Service 3 will now serve West Park, Honicknowle, Peverell, Mutley Plain and North Hill on Sundays & public holidays, offering up to a 30 minute frequency. All journeys will now be numbered as service 3 (no more 3As!) 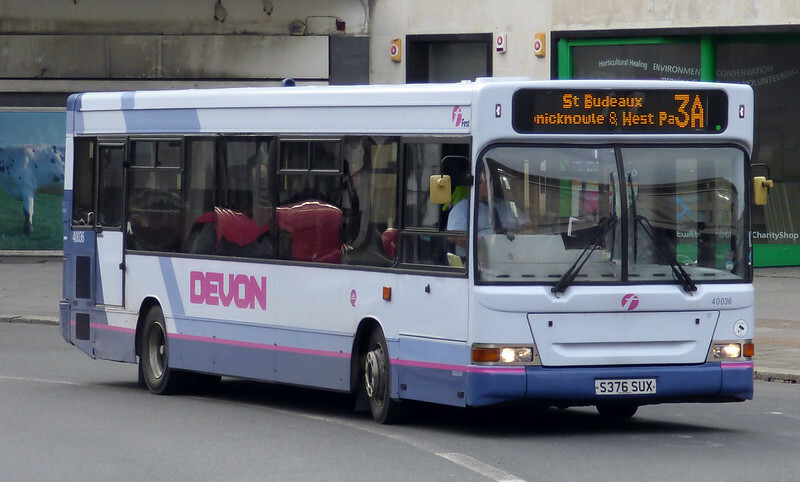 There will still be a 10 minute day time frequency of buses between City Centre, Devonport and St Budeaux from Monday to Saturday, with a 20 minute day time frequency for buses between St Budeaux, West Park, Honicknowle, Peverell and City Centre, from Monday to Friday. I can see problems for some passengers getting used to the fact that not all 3’s do the full route! Evening Monday to Friday journeys between Derriford and The George are being withdrawn due to very poor use. The last 15 bus from Derriford to The George will now depart at 18:29 (the 86 will still operate in the evenings at 04 mins past the hour from Derriford Hospital from 19:04 to 00:04 on weekdays and Saturdays) We are also launching a new day time service 15A between Woolwell and Glenholt via the George Park & Ride site. There are three off peak circular journeys. The Saturday timetable is unchanged. Its no surprise that the evening shuttles between The George and Derriford are being withdrawn as Target Travel easily saw them off. The new 15A is a surprise though, another in a long line of experiments to serve this difficult area. PH1020218/2 - DEALTOP (PLYMOUTH) LTD T/A TARGET TRAVEL, LANGAGE SCIENCE PARK, WESTERN WOOD WAY, PLYMOUTH, PL7 5BG Registration Accepted by SN Starting Point: Plymouth Royal Parade Finish Point: Bovisand Via: Plymstock, Hooe, Jennycliff Service Number: 54 Service Type: Normal Stopping Effective Date: 23-MAY-2015 Other Details: Daily hourly service. Beach lovers will be able to take a bus straight to Bovisand again this summer. The service 54 ‘beach bus’, which is financially supported by the Council, will be operated by Target Travel and run from Saturday 23 May until Sunday 13 September. 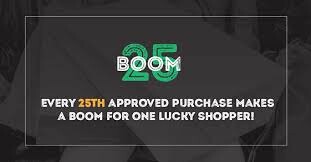 It will run at the weekend during school term time and every day during the half term and summer holidays. The service will depart from the A9 stop on Royal Parade every hour from 10am until 6pm (except at 2pm) and return from Bovisand hourly from 10.30am until 6.30pm (except at 1.30pm). Councillor Mark Coker, Cabinet Member for Transport, said: “The Bovisand bus has been really popular and offers families a low-hassle way to enjoy a great day out over the summer, whether they head for the beach or take a walk along the beautiful South West Coast Path.” For more information on the service 54 call 01752 242000. Interestingly its been registered on the Dealtop licence where most bus services are under R Risk licence. PH1052309/2 - CHELSTON LEISURE SERVICES LTD T/A DIAL-A-BUS, LONG ROAD, PAIGNTON, TQ4 7BL Variation Accepted: Operating between TORQUAY and PAIGNTON given service number 60 effective from 06-Jul-2015. To amend Timetable. PH1052309/1 - CHELSTON LEISURE SERVICES LTD T/A DIAL-A-BUS, LONG ROAD, PAIGNTON, TQ4 7BL Variation Accepted: Operating between Paignton Bus Station and Castle Circus Library given service number 61 effective from 06-Jul-2015. To amend Timetable. 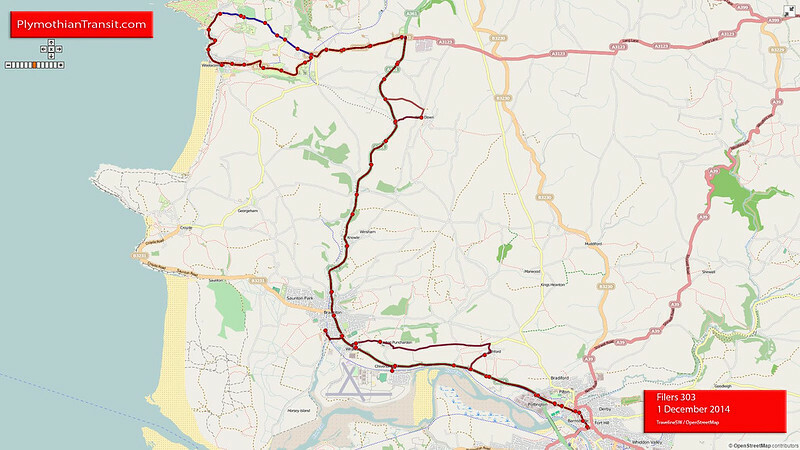 PH1052309/3 - CHELSTON LEISURE SERVICES LTD T/A DIAL-A-BUS, LONG ROAD, PAIGNTON, TQ4 7BL Variation Accepted: Operating between Torquay Strand and Torquay Strand given service number 62 effective from 06-Jul-2015. To amend Timetable. 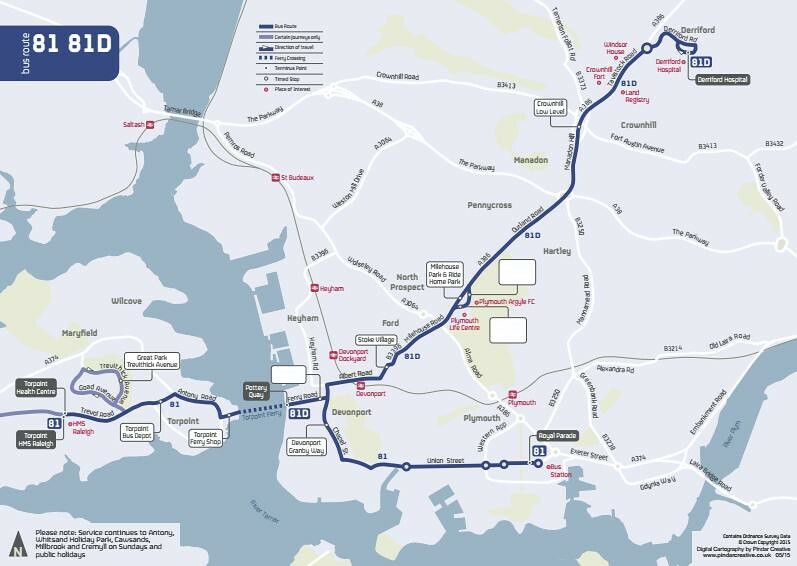 There will now be more 81D trips between the Torpoint Ferry (Devonport side), Stoke, Milehouse and Derriford Hospital which will run approximately hourly, Monday to Friday (except public holidays). There are also some minor changes to times on the 81 between the Torpoint Ferry and Plymouth Royal Parade after approximately 1430. There are also some morning peak journeys which have been changed to run 10 minutes earlier throughout, one following customer requests. There are no changes to Saturday timetable. The Sunday & public holiday timetable will be the same as operated in Summer 2014. PH1020951/159 - STAGECOACH DEVON LTD T/A Stagecoach South West, BELGRAVE ROAD, EXETER, EX1 2LB Variation Accepted: Operating between Totnes Royal Seven Stars and Salcombe given service number 164 effective from 24-May-2015. To amend Timetable. 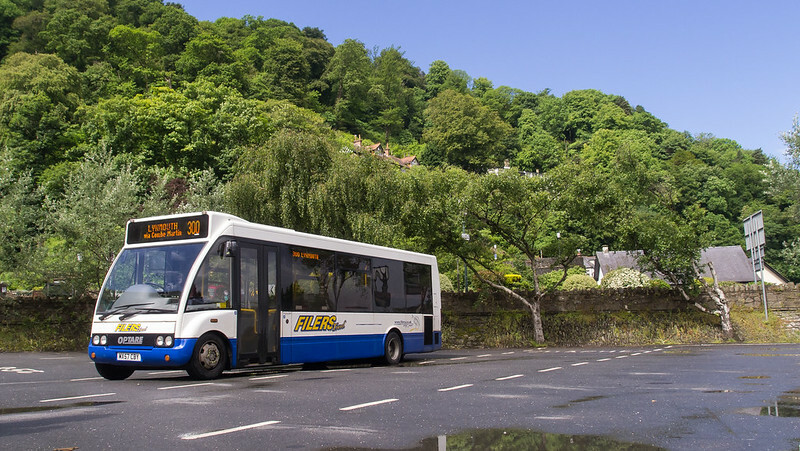 PH1066351/1 - FILERS TRAVEL LIMITED, SLADE LODGE ,, SLADE ROAD, ILFRACOMBE, EX34 8LB Variation Accepted: Operating between Ilfracombe, St James Place Gardens and Minehead given service number 300 effective from 24-May-2015. To amend Timetable. Filers are another company who leave all their timetables etc to Traveline and make no effort to display timetable changes on their own web site. PH1066351/4 - FILERS TRAVEL LIMITED, SLADE LODGE ,, SLADE ROAD, ILFRACOMBE, EX34 8LB Variation Accepted: Operating between Combe Martin and Barnstaple Post Office given service number 301 effective from 26-May-2015. To amend Timetable. PH1066351/11 - FILERS TRAVEL LIMITED, SLADE LODGE, SLADE ROAD, ILFRACOMBE, EX34 8LB Variation Accepted: Operating between Barnstaple Bus Station and South Molton, Square given service number 303/7 effective from 24-May-2015. To amend Timetable. PH0004666/1 - FRANCES MAY SEARLE T/A AXE VALLEY MINI TRAVEL, BUS DEPOT, 26 HARBOUR ROAD, SEATON, EX12 2NA Variation Accepted: Operating between SEATON Sea Front and MILLWEY RISE given service number 885 effective from 26-May-2015. To amend Timetable. PH0004666/2 - FRANCES MAY SEARLE T/A AXE VALLEY MINI TRAVEL, BUS DEPOT, 26 HARBOUR ROAD, SEATON, EX12 2NA Variation Accepted: Operating between Exmouth Tesco and Seaton Sea Front given service number 899 effective from 26-May-2015. To amend Timetable. PH1017984/120 - ALANSWAY COACHES LTD T/A COUNTRY BUS, KING CHARLES BUSINESS PK, OLD NEWTON RD, HEATHFIELD, NEWTON ABBOT, TQ12 6UT Registration Accepted Starting Point: Exeter, Paris Street Finish Point: Exeter, Cheeke Street Via: Mount Dinham Service Number: M Service Type: Normal Stopping Effective Date: 07-APR-2015 Other Details: Monday to Saturday. PH0004983/278 - FIRST DEVON & CORNWALL LTD, THE RIDE, CHELSON MEADOW, PLYMOUTH, PL9 7JT Variation Accepted: Operating between THE GEORGE PARK AND RIDE SITE and PLYMOUTH (Royal Parade) given service number PR1 effective from 24-May-2015. To amend Route and Timetable. PH1120865/2 - ANTHONY SLATER AND COLIN BOWDEN T/A ENGLISH RIVIERA TOURS, THE FIRS, RATHMORE ROAD, TORQUAY, TQ2 6NU Registration Accepted Starting Point: Paignton, Torbay Road Finish Point: Paignton, Torbay Road Via: Torquay Sea Front, Torquay Harbour Service Number: Sightseeing 2 Service Type: Excursion or Tour Effective Date: 05-JUL-2015 Other Details: July until end of September for 2015 and May until end of September thereafter. 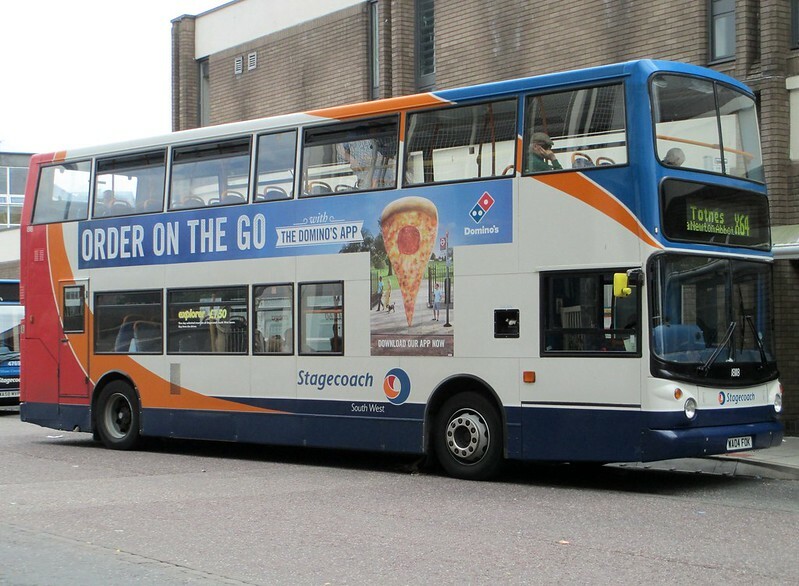 PH1020951/46 - STAGECOACH DEVON LTD T/A Stagecoach South West, BELGRAVE ROAD, EXETER, EX1 2LB Variation Accepted: Operating between Exeter Bus Station and Totnes Coronation Road given service number X64 effective from 24-May-2015. To amend Timetable. As is often the case its been difficult getting the timetables for the X64. Traveline only has the new times from 1st September 2015! The final stagecoach pdf here is sideways which is a real pain but its all I can get at this moment in time. A NEW light railway to Brixham and fewer traffic lights in the Bay are two of re-elected Torbay mayor Gordon Oliver's ambitions for the next four years. Mr Oliver has instructed officers to investigate the opportunities to re-introduce a passenger railway between Churston and outer Brixham. It would follow the line of the old steam railway which was closed decades ago. Houses have been built over the line at the Brixham end and the station is long gone. But Mr Oliver believes there is an opportunity to use the former line for a light railway with passenger-only traffic and possibly also a cycle route.